Suitable for homogenous mixing of dry powders of different bulk densities used in the Food, Mineral, Pharmaceutical, Paint & Chemical Industries. 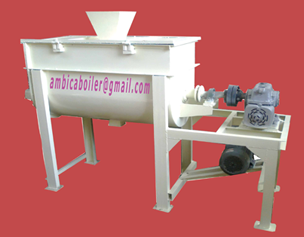 It is a simple versatile mixer which can also mix semi wet material. Ribbons of various designs are available to handle different materials. 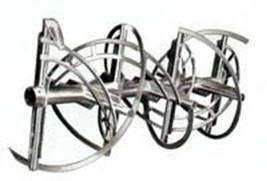 The mixer consists of a cylindrical shell inside which rotates a double helix shaft fitted with spiral inner and outer ribbons. During rotation of the shaft, the ribbons lift, convey and intermix the material to get a homogenous mass in short intervals. Discharge is from the bottom by a quick opening valve.